While there has been considerable, and warranted, criticism lately about censorship of conservatives by the big tech companies, let’s not forget that the emergence of social media cracked the left’s media dominance. People moved from reading print newspapers and magazines to congregating on Facebook and Twitter. They moved from network television to YouTube videos and streaming news services. Formerly dominant left-leaning newspapers and magazines like The Denver Post and Newsweek are shrinking and falling apart. The Denver Post cut almost 90 percent of its journalists within the past decade. Newsweek recently laid off multiple editors and staffers, fell behind in its rent and utility payments and is paying its remaining employees late. CNN laid off 50 employees from its digital projects in February. Instead of paying for expensive cable TV, which is dominated by left-leaning stations, viewers can now pull up YouTube on their TVs through a streaming device and choose Fox News or various online conservative news services like Newsmax. President Trump mastered Twitter to get his message directly to the American people. People go directly to his Twitter feed for breaking news. They used to get news about the president from mainstream news organizations, and, only if they had televised access, presidential press conferences. Now, why wait for a news site to write about Trump’s tweets when you can see them live instantly, at least an hour before a reporter is able to write a story about them? The way Twitter is set up, its main attraction is getting breaking updates from your favorite celebrities. In order to use Twitter effectively for news, people must choose a select group of people to follow, and then usually set up Tweetdeck or a similar app since Twitter is clunky. There is little room to inject bias toward left-wing media here. Now, it is true that Twitter may suggest a larger percentage of people and news organizations to follow on the left when someone starts an account. But other than that, once someone has selected who to follow, the effect of bias Twitter has is minimal since the vast majority of someone’s feed is who they’ve chosen to follow. With Facebook, people fill up their list of friends with like-minded people, and join Facebook groups that fit their interests. This is where people now get a lot of their news. According to Pew Research Center, two-thirds of Americans get news from social media, and twenty percent do so often. Facebook is the most popular social media site for news, followed by YouTube. It makes sense to get your news from Facebook. Why visit one news site when you can see many choices in your news feed? You can easily pick and choose which news pages to like to tailor which ones you see in your feed. And unlike a plain newsreader app, you get the added benefit of your friends’ insights on the news and personal updates in the feed. Conservatives zealously took to Facebook after it was opened up to the general public in 2006. They formed thousands of groups and added conservatives who were strangers as friends. 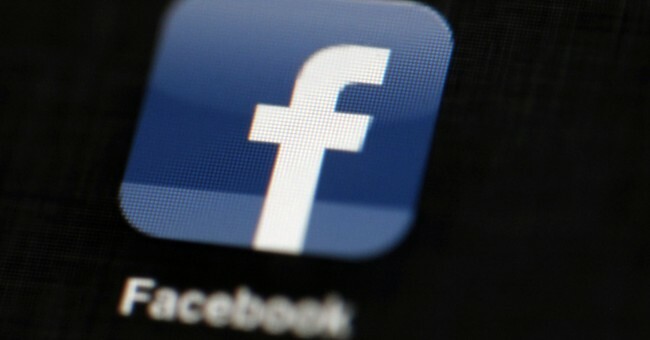 Many soon maxed out at Facebook’s limit of 5,000 friends. People had to deliberately choose to like left-wing media pages or join left-wing groups, they weren’t given a heightened position anymore as previously enjoyed in print media and TV for so many years. When a bias was discovered, left-slanting articles in Facebook’s Trending Topics feature, there was an outcry and Facebook stopped the skewed coverage. Can you imagine a cable news company doing the same thing? “We have too many left-wing stations, like CNN, MSNBC, ESPN and BET, so we are going to balance it out by adding just as many conservative stations, like Newsmax and One News Now.” Of course not. Eliminating this slant is something that has only come about with social media. While conservatives have had a long honeymoon with social media, there are cracks emerging that must be taken seriously. Facebook, Twitter and YouTube are increasingly banning and censoring conservatives. They are figuring out how to tweak algorithms to control what people see in their feeds. The tech companies are controlled by left-leaning management, which is susceptible to pressure by the left. Eventually, they may figure out how to counteract the level playing field that has made their platforms so fair.